- The novel has been adapted into a Hollywood feature film, released in 2007 as The Golden Compass. - Peter Hitchens views His Dark Materials series as a direct rebuttal of C. S. Lewis's Chronicles of Narnia series. 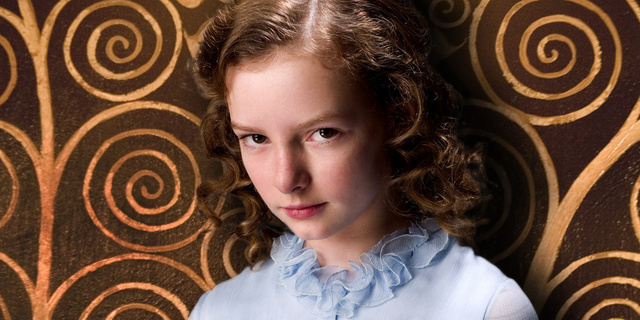 - Pullman has criticized C. S. Lewis's series The Chronicles of Narnia as religious propaganda. Alright, I was a novel-turned-to-movie geek, but that does not mean I only read books because they're going to be made into movies. To tell you the truth the first time I read almost all of my books I didn't even know that a movie was on the way. It was only on a later time that I would know a movie production was on the move. I could say that I am open-minded enough not to compare the film to the books as there are some factors that differ between the two platforms. 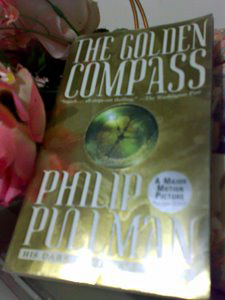 In the case of Pullman's The Golden Compass, I knew first that it would made into a movie before I read it. The bookstore -- National Bookstore -- where I buy my books usually didn't have a copy due to some great demands and I'm quite sure that they were prioritizing their Manila branches, for the real market was there. But I don't mind that as I love this store anyway. So back to the story, the synopsis could be easily deduced to this: When 11 year old Lyra Belacqua attempts to rescue her best friend Roger from kidnappers, she has no idea what she’s getting into. Lyra soon finds herself on a quest that will take her from her home at Jordan College in Oxford to the far North. She will befriend gyptians, witches, talking bears and a Texas balloonist. She will be followed by mechanical spies and kidnapped by Samoyan hunters. She will be betrayed, and she will betray. Throughout her journey Lyra is guided by the Alethiometer, a truth-telling, compass-like instrument that runs on the mysterious Dust. It has been prophesied by the witches of the North that Lyra is the one destined to bring about the end of Destiny. Despite the fact that many critics have asserted that the trilogy, as well as the movie adaptation, presents a negative portrayal of the Church and religion I still love the books. They are an exploration of humanity that traversed the "road less travelled," and I would certainly believe that this is the novel that firmly established Philip Pullman's reputation as one of the pre-eminent childrens' authors of the age.